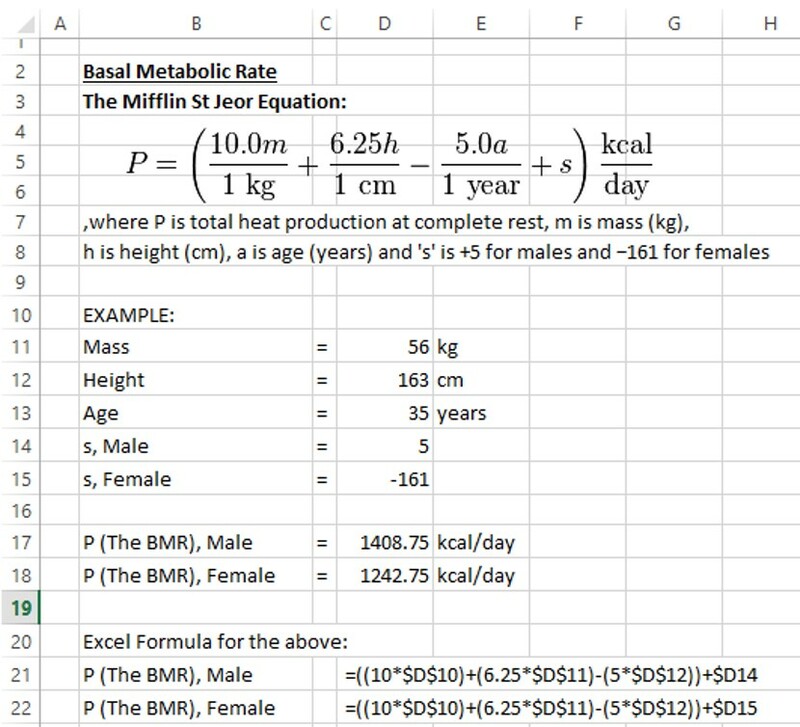 The Mathematics of Weight Loss – Live. Life. Plan. 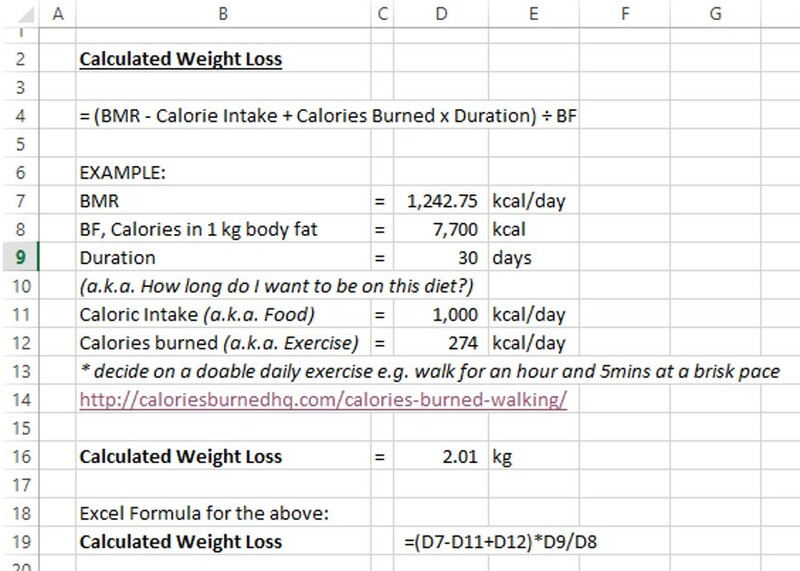 Below is the worksheet of an example for figuring out how much weight will be lost based on a decided duration of 30 days and a commitment to brisk walk for 65 minutes everyday. Please refer to other details and assumptions laid out in the worksheet below. The commonly used food ‘Calorie’ used in the calculation here is scientifically in actual fact ‘kilo calories’. Thus, 1 food ‘Calorie’ is actually 1 kilo calorie. 1 kg of body fats = 7,700 calories. Although 1 kg of pure fats equals to 9,000 calories, body fat is made up of about 90% fats, the rest of it is water and other cellular. Here I will be using the Basal Metabolic Rate as the baseline for my caloric reductions. Why? Because I actually would like to succeed in losing weight. See point 3 above and the fact that I am quite sedentary (Meaning= I don’t move much).